In these Digital plains of Instagram, one can never be too careful with “Social-Media Influencers”. ‘Fake Influencers’ are not robots , but real people. So what’s so ‘Fake’ about them? A myriad of fake-accounts as their followers! So think twice if you’re looking for an ‘Influencer’ for your brand! 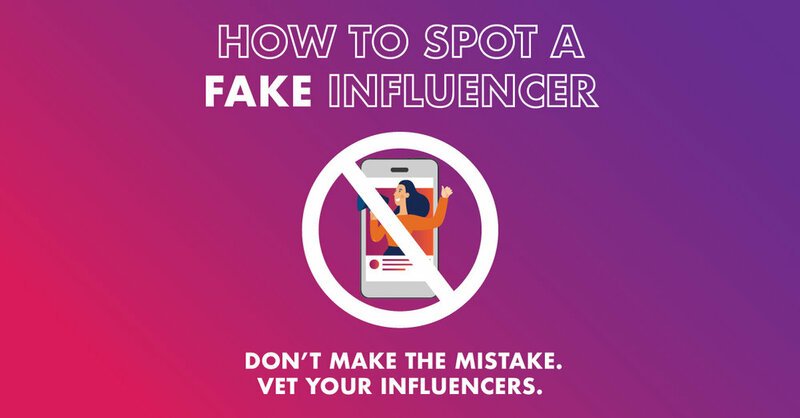 Here are some nifty tips to help you spot a ‘Fake Influencer’! 1. Low Engagement rates - Occasionally, these ‘Influencers’ might rack up a large number of followers, but alas, only a quarter of their followers engage in their posts. In some situations, computer-generated replies can be found flooded in the comment sections! 2. Quality of interactions - The idea of buying ‘likes and comments’ may baffle some, but the view for Internet fame entices others. Interactions in the comment section may seem incoherent, with spams of emojis. 3. Check the follower’s profile - An obvious giveaway, fake profiles tend to always seem blank, with no profile picture, autobiography, or posts. 4. Sudden spikes in Follower growth - Overnight sensation? Highly unlikely. Here’s what you can do, tools such as ‘InfluencerDB’ help detect growth rates in followers. A sudden rise in followers? Get outta here! 5. Audience Quality - Looking at their followers one-by-one would take ages! Here’s another tool, ‘IG Audit’ will help speed up the process by tenfolds! It scans through all the followers, calculating the percentage of fake-followers for you! Always! -- and we repeat -- Always! Do a background check on the ‘Influencers’ you plan to collaborate with! Find Out How We could Help You To Identify The Fake Influencers By Getting In Touch With Us.